Solar is rapidly making its way into the mainstream, with governments and corporations committing to renewable energy practices. In a recent report by SEIA, a number of Fortune 500 companies in the United States have joined the renewable energy movement. Among these companies are Target, Walmart, Apple, Costco, and IKEA. Why Do Corporations Make the Switch? Aside from the glaring environmental reasons, the growth factors for corporate solar installations are lowering cost of solar panels and government incentives in several states. 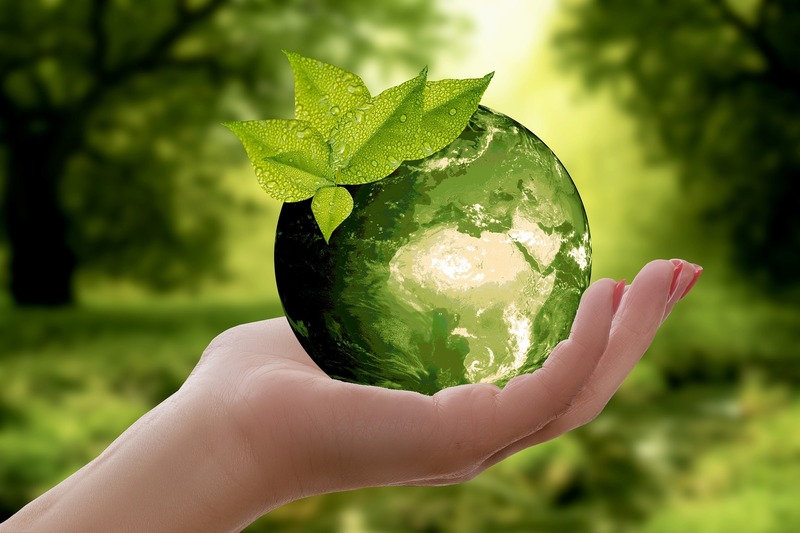 Businesses are also driven by corporate social responsibility, which calls for sustainable practices. Solar doesn’t only lower your electric bill. It’s a good long-term investment that pays for itself in just a few years. 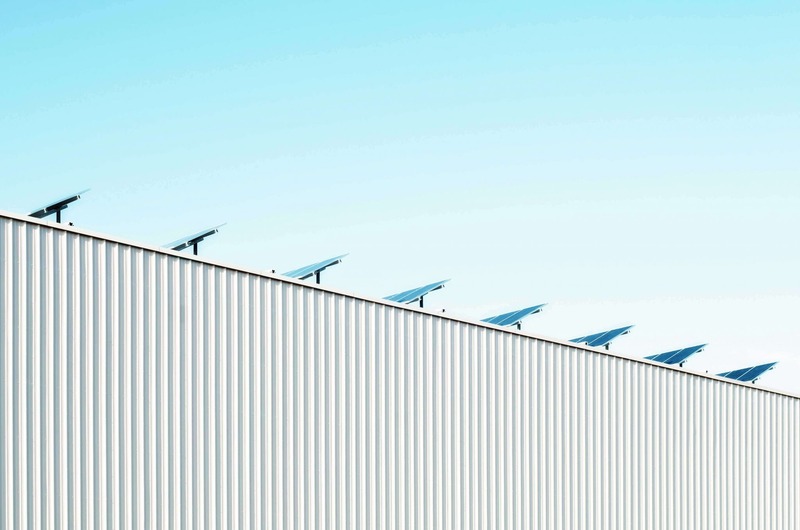 With solar panel systems that virtually require no maintenance, more resources can be directed to core business functions instead of utility and operation costs. Being a “green business” also helps you attract younger customers and helps you retain them, according to Forbes. 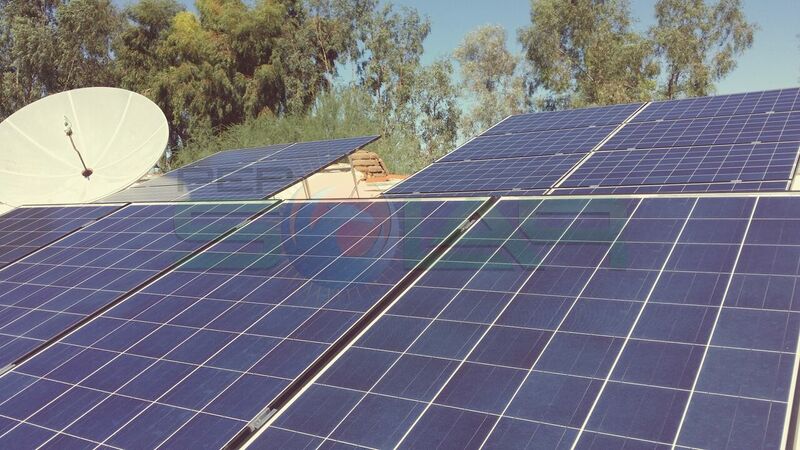 PEP Solar is an authorized and exclusive dealer of CIS thin-film panels, the most efficient solar panels in the market. CIS Thin-Film panels are designed to produce more energy and perform well in low-light hours. It’s perfect for any Arizona-based business, as it yields more power in high-temperature conditions. Doing business in Arizona means you have to be ready for intense summers. That’s why it’s essential to have proper cooling solutions. Solar air conditioning is an efficient way to significantly cut utility costs. PEP Solar’s Advanced Solar Air Conditioner has effectively a 21 SEER* rating at night and up to a 65 SEER during the day. 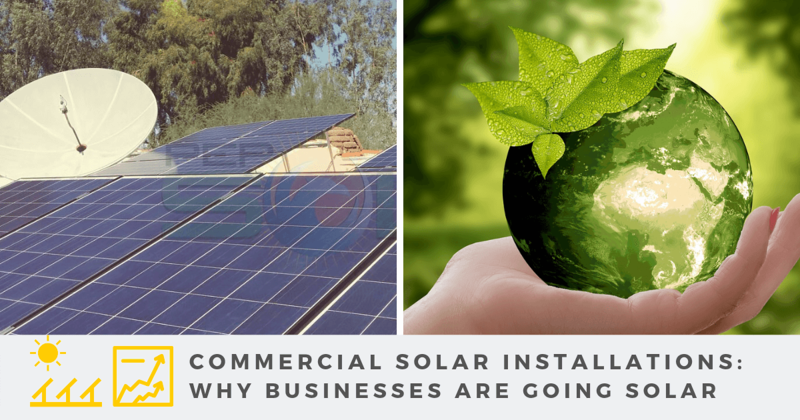 Investing in solar energy is a smart move for businesses both big and small. PEP Solar makes it easier for you to go solar. We will provide you with a year-over-year savings breakdown and flexible financing options. Talk to our team to learn about tax advantages and solar energy incentives. ✔ Ability to depreciate the system over five years. The future of business lies with sustainable practices. 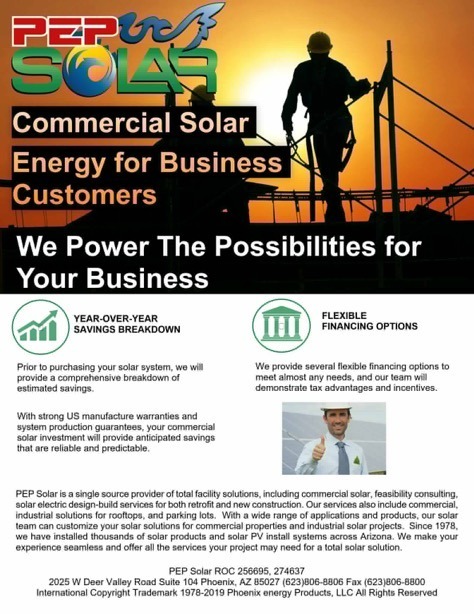 With PEP Solar, your business can easily become a part of the growing solar movement. Go Solar this year to avail of the 30% Federal Tax Credit. Contact us today, and we’ll give you a free demonstration.